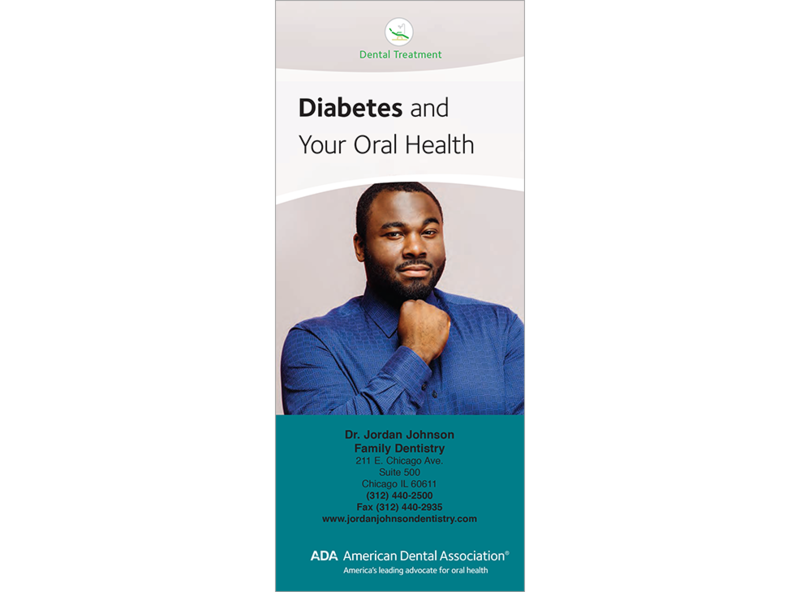 Spell out the connection between diabetes and oral health with this easy-to-ready brochure. Details the connection between diabetes and gum diseases; perio photos and a list of symptoms are included. Reveals that diabetes is also related to thrush and slower healing after surgery. Highlights the importance of careful oral care and regular dental visits for diabetic patients. Revised to include tips for before and after dental treatment. 8-panels. Minimum order 150. Click Add to Cart then personalize for free. Now you can add personalized information on the front, back, or both covers on all brochures.